What a wonderful sunny Saturday in Big D. Perfect for the Funkyfinds show (this was in Ft. Worth- sunny there also) No pictures, you will just have to trust me. This show is such a refreshing eclectic mix of artisans featuring jewelry, art and textiles. This show is also pet friendly with many of the vendors having a water bowl and some doggie treats in their booth. I have such a soft spot for this show because it reminds me of me 25 years ago put trying to peddle my wares to put groceries on the table. Then I zipped over to the Dallas Quilt Show and lucked into a parking space within sight of the building. This parking issue means it was going to be a good show. I could see the lineup of tour buses. After any quilt show I go home and look at the pictures I took. Why? Who? What? Some of the quilts are so amazing for the graphic repeat. The entire background was pieced in diamonds. I am attracted to the Co-ordinated scrappy quilts. The more fabrics the better.! My Dad is from Clyde Texas- Abilene was considered the big city from there. Name of the quilt is Memories of Orlena. 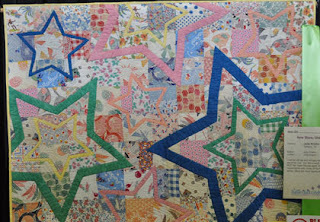 It was inspired by the cover of American Quilt calender 2008. Again tons of fabrics! Simple repetitive shapes. Again, this one has a ton of fabrics- probably vintage fabrics. Then the most unexpected large stars appliqued. Classic, scrappy, repetitive shapes. 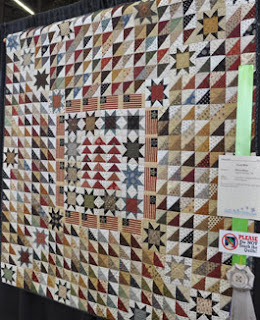 This one is actually a quilt guild raffle quilt. 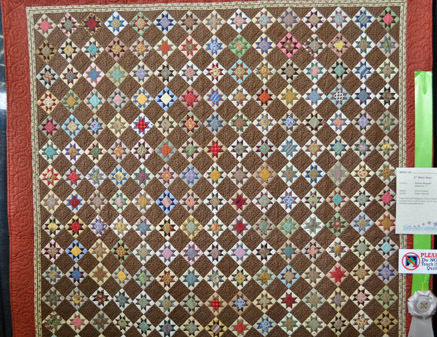 I also take pictures of quilts that I “could” make. Not that I ever will. 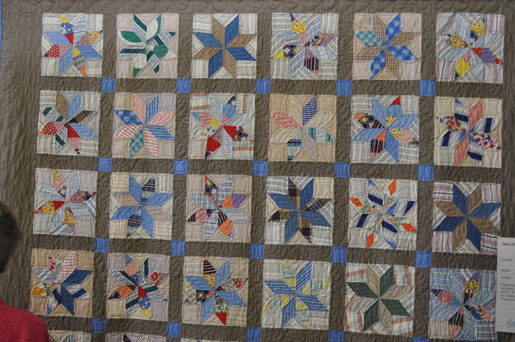 Truly classic vintage inspired quilt with 1,965 pieces. Some of the stars precisely cut to form a whirling star shape. Some large hexagons throughout for your eye to rest and move on to the next star. 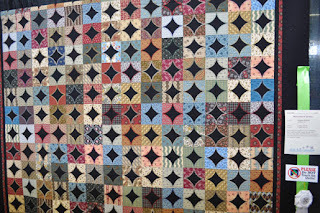 Sometimes- most of the time- I take pictures of quilts that I know I could never make. I tried to get close to this one but there was always a crowd. 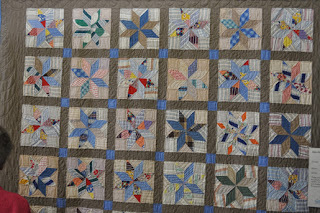 I do know the same person pieced and quilted it. The background was cross hatched ever 1/2 inch. Well deserved blue ribbon! This one is placed in my “artsy” quilt collection. 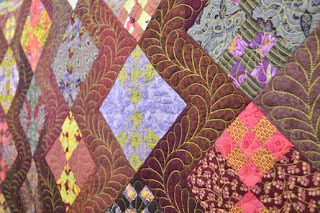 Classic pattern but the fabrics used were more contemporary and the quilting was over the top. 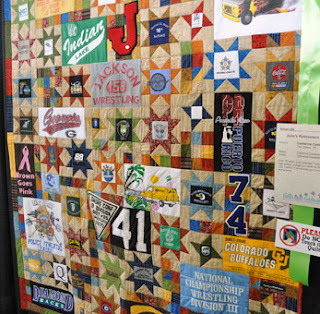 see why so many people choose Richard as their quilter. 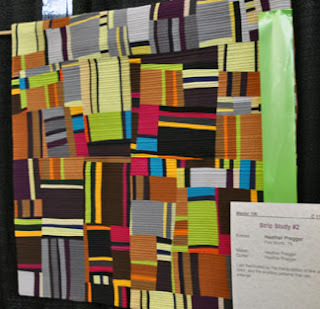 I also love 2 color quilts. Something about my middle child traits certainly is too explain the range from scrappy to two color quilts. At least my preferences for 2 color quilts still features tons of fabrics. 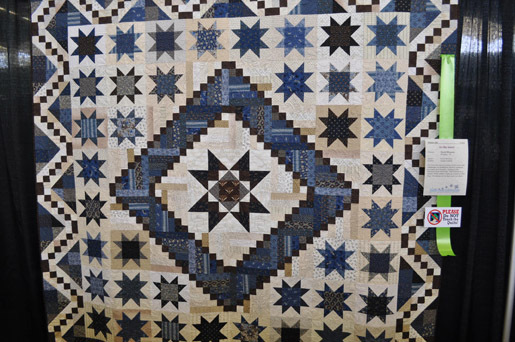 This quilt was made by David Mowery and quilted by Susan Corbett. Some quilts and colors just make me Happy! What an incredible t-shirt quilt. Oh the memories! Then I take pictures of quilts that I know friends of mine would love. Carolyn, these two are for you. Thank you to all the quilters for sharing their work. 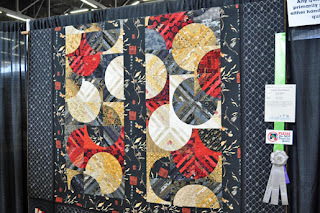 Back to work on Sunday- getting ready for the next quilt show called Market!! 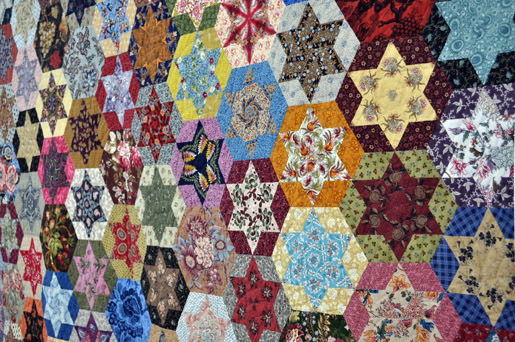 Gorgeous quilts, every one! Thanks for sharing the Dallas Quilt Show! Thanks for sharing these pics. The quilts are gorgeous! Thanks for these fab pics – I've never seen anything like them in real life! Thank you for sharing! 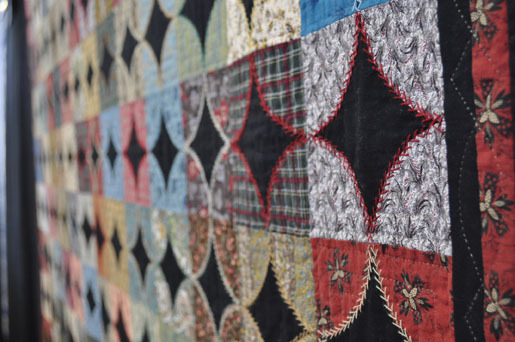 All those quilts are wonderful. 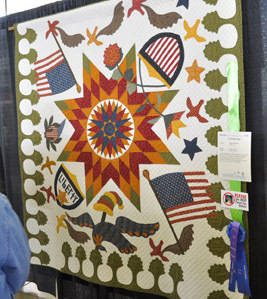 Now I feel like a heal for wanting to miss out on the Cleveland Quilt Expo. because I had hoped to go to the International Quilt Festival in Cincinnati. Maybe next year! Oooh thanks for the pics! 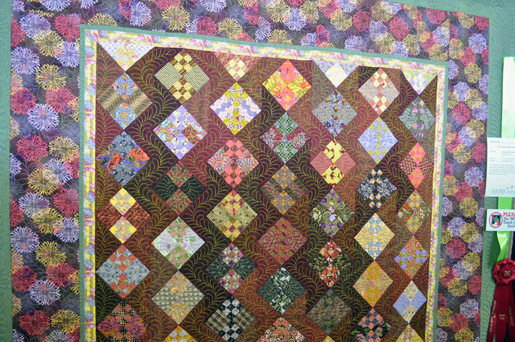 I was so bummed to not be able to make the trip down for my annual trip to see mom and the quilts! Hoping next year I'll be back to being a resident of DFW and can see them in person! And that Funkyfinds show…sounds like something right up my alley!! Sounds like you had a perfect Saturday! 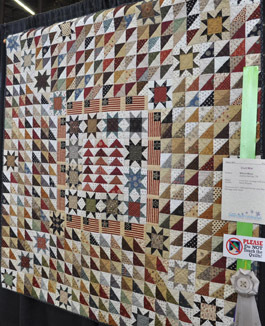 How lucky we are to be able to enjoy such a wonderful quilt show hundreds of miles away. 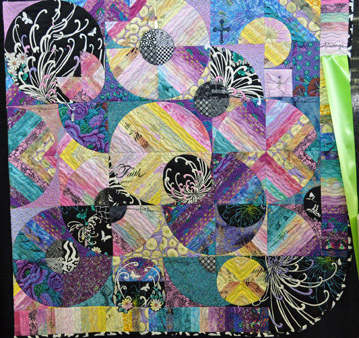 Thanks for sharing all these quilted lovelies with us. 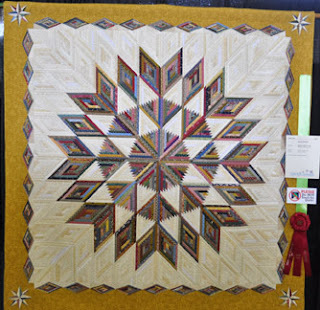 Oh thank you for the virtual quilt show…didn't get to go this year! My sis lives in Dallas, and I have made a trip in the past…wonderful show. You have made my day! 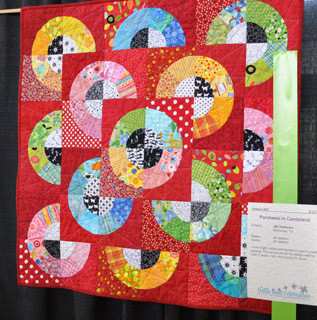 I am the maker/quilter of the red quilt with the happy fabric circles. I am glad it made you happy! I love, love, love the "Quirky" Star applique quilt! 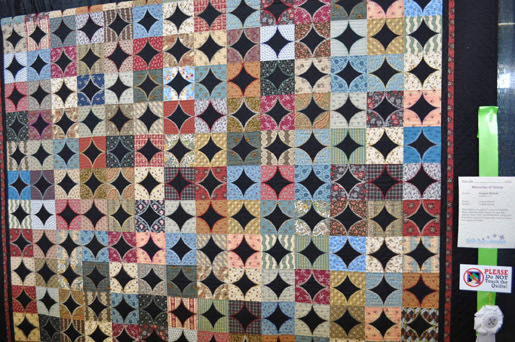 Is it an antique or contemporary quilt? I just may have to figure that pattern out.